This cheat sheet has been compiled and provided by Allison St. Sure, of Sure Foods Living, who focuses on educating and raising awareness about celiac disease and food sensitivities to help those newly embarking on a gluten-free diet. Her site is full of wonderful information, so please visit her and check it out. Please remember, always read ingredients and check with the manufacturer if you are not sure if something contains gluten and avoid the food until you are sure. The key to being successful on the gluten-free diet is becoming an avid label reader. 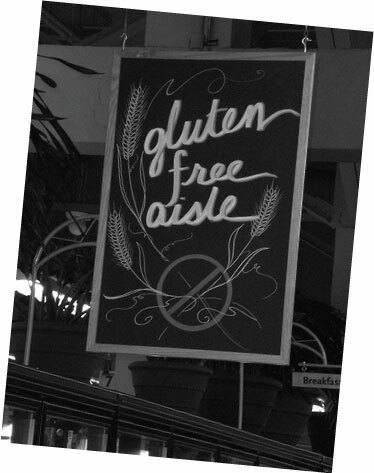 The better you can decipher labels, the less chance you will accidentally ingest gluten. Also note that manufacturers will often change the ingredients in a product, so even when you are familiar with certain brands and products, continue good label reading practices! Anything with the word “wheat” in it, except buckwheat (buckwheat is gluten-free). 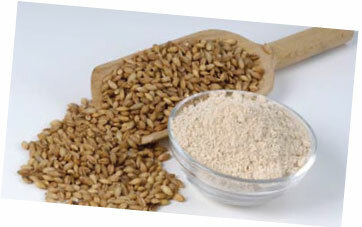 Flour (unless it is gluten-free flour or is made purely from a non-gluten source, like rice flour). Lipstick and any other non-food items like playdough, lotion, paste, etc. Meat and fish — naturally gluten-free as long as not marinated, breaded, etc.